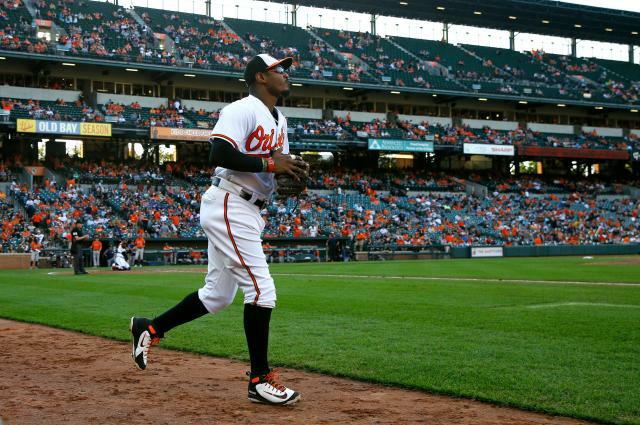 The Arizona Diamondbacks reached a deal to sign outfielder Adam Jones on Sunday night, according to Fox Sports 1’s Dontrelle Willis and ESPN’s Jeff Passan. Outfielder Adam Jones and the Arizona Diamondbacks are in agreement on a one-year contract, a source familiar with the deal tells ESPN. @DTrainMLB had it first. According to Passan, Jones has a one-year, $3 million deal in place with the Diamondbacks. The team has yet to confirm the deal, though it is expected to be approved following his physical. Jones spent last season with the Baltimore Orioles before becoming a free agent. The 33-year-old averaged .281 and had 15 home runs and 63 RBIs last year, his 13th in the league and 11th with the Orioles. Source confirms: #DBacks close to signing free-agent outfielder Adam Jones. Deal is in place, pending physical, per my man @DTrainMLB. Marte likely would assume more of a super-utility role with Jones on club, playing infield, playing all over. Jones moved to right field in August after spending the majority of his career in center field. The five-time All-Star and four-time Gold Glove Award winner was drafted by the Seattle Mariners in 2003 and made his debut in 2006.